Most of the time 'new replacement pistols' are something like a running joke/meme both in the U.S. and Russia, but a 9x21mm pistol actually has a lot more promise than a 9x18/19mm pistol, which would simply be a waste of time. Certainly a full auto pistol is unusual, but it is a simple way of making a pistol effective in combat... (by making it a very small SMG). At very short ranges (ie inside the same room) is where a pistol is better than a rifle, but a SMG is better still... a full auto pistol is an attempt to make a pistol a useful weapon of war. Of course with the SR-1MP for special forces and SR-2M for those who want full auto I guess it would not be totally critical to have a machine pistol... back in the time when the Stechkin was popular there really was no practical Soviet/Russian SMG alternative... now there is one in the 9x21mm calibre, but I guess most of the others could be adapted if they are going to drop the 9x18 and 9x19mm calibres. GarryB wrote: At very short ranges (ie inside the same room) is where a pistol is better than a rifle, but a SMG is better still... a full auto pistol is an attempt to make a pistol a useful weapon of war. As you notices if anybody needs PM he can take SR-2, Stechnkin was only one long tiem ago, why was not repeated? BTW MP with 18 ammo clip? is it worth to complicate construction tohave hat advantage? Afaik, APS are already disappearing from the shelves in armouries. There's literally no need for it anymore as there are plenty of well designed SMGs. AK has new SMGs chambered in 3 rounds and there are maybe 5 designs already being used by Russian SF. From various SR-2/3/Veresk versions, AEK in police service. Well actually the Stechkin is a very simple weapon compared with modern more powerful pistols... it was a simple blowback weapon with a low powered 9x18mm round with a rate of fire reducer to keep it controllable on full auto. The Russians have a variety of nice looking SMGs including the Klin/Kedr, the Kashtan, and my favourite looking... the Vityaz-SN. They had an older design that had removable chambers to allow any calibre pistol round to be used from 9mm short up to a special 9x30mm round that looked like an M1 carbine round but fatter, but it seems to have died. The interest in machine pistols was such that there was even a Strike One version with full auto and 30 round mags as an option from memory. Full auto in controlled bursts is a good way to make a pistol effective... but most of the time they would be used in single shot... much like an assault rifle. Our blog managed to visit the team of the Central Research Institute of Precision Engineering (JSC TsNIITOCHMASH) in Klimovsk (Moscow region) and get an idea of ​​the modern developments of the enterprise, as well as the history of domestic and foreign weapons. With some of them we introduce our readers. The undoubted "pearl" of the demonstration in TsNIITOCHMASH JSC was the new Udav pistol complex. under the Russian cartridge of 9 x 21 mm caliber. MOSCOW, February 28. /TASS/. 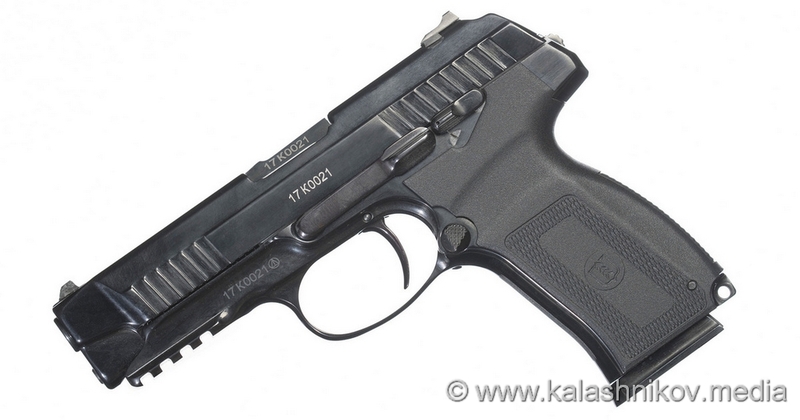 Russia’s newest handgun Udav was developed not as a substitute for the Makarov pistol (PM). They have different functions, the CEO of the company that designed the weapon, TsNIITochMash, Albert Bakov told the daily Izvestia in an interview. "Udav and PM are different. They are meant for coping with different tasks. PM is a peacetime weapon for police patrolling the streets. Udav is a powerful combat gun with far greater fire power," Bakov said. 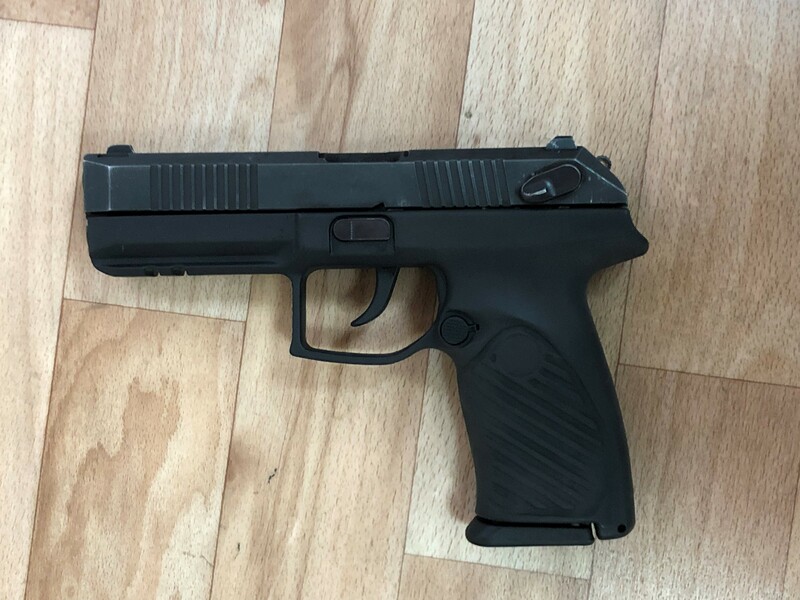 Only the contractor, the Defense Ministry, is in the position to make a decision to replace all Makarov guns with Udavs in the Russian Armed Forces. In his opinion the Udav fully matches the military’s expectations. "We met all terms of reference," Bakov said. 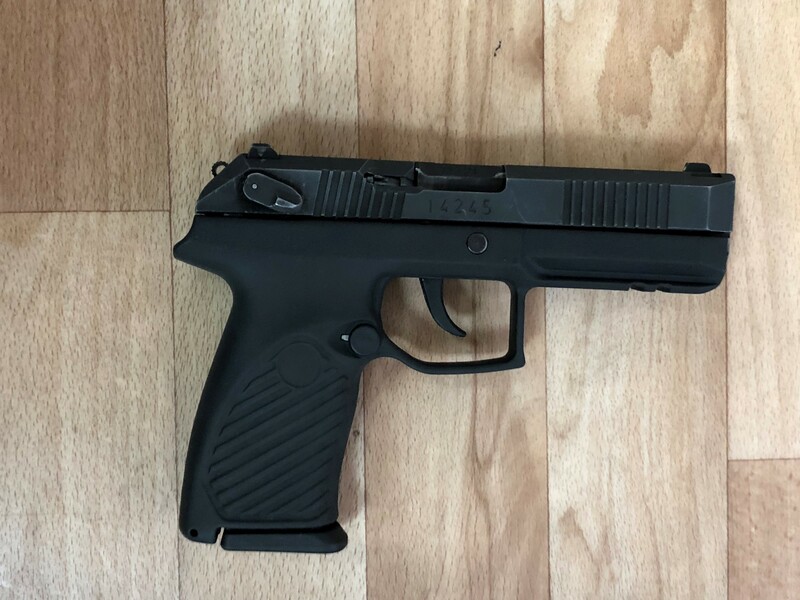 I have read on a few websites about how this pistol will not be widely deployed because of its 9x21mm ammo is not widely made or available and is more expensive than more widely available 9x19mm and 9x18mm ammo, but I suspect if there are more weapons chambered in 9x21mm ammo that this will change and their ammo companies will start mass producing the new ammo which should reduce the price. Would like to see a new range of existing weapons able to fire the same round... PP2000, Vityaz, Klin/Kedr, and Kashtan in 9x21mm. Of course one of the criticisms of the Makarov was serious muzzle flip during rapid firing... but this gun likely would be no worse yet have a lot more power on target so would be worth the extra flip perhaps? if I read correctly this is MIA/ Police pistol . It was modernized to bring reliability up. MOSCOW, April 11. /TASS/. 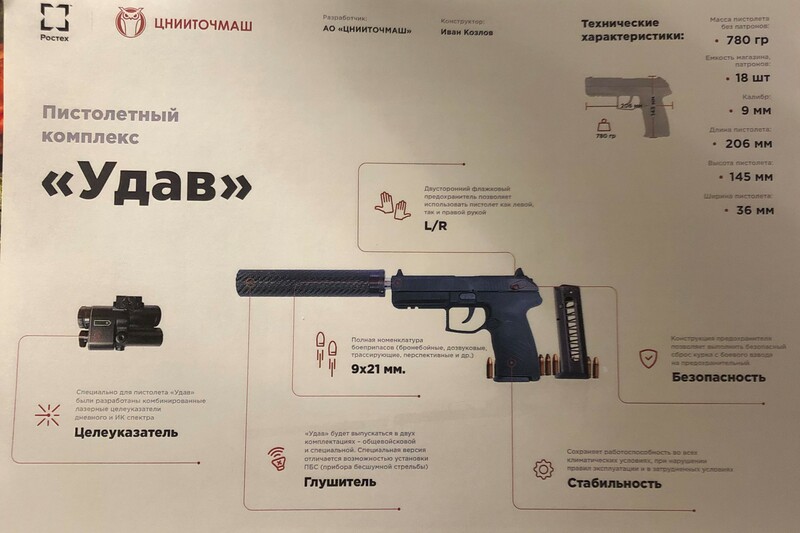 An interdepartmental commission has completed its verification of the design specifications for the Udav handgun (a product of TsNIITochMash) and recommended it for serial production, the Rostec corporation said in a news release on Thursday. 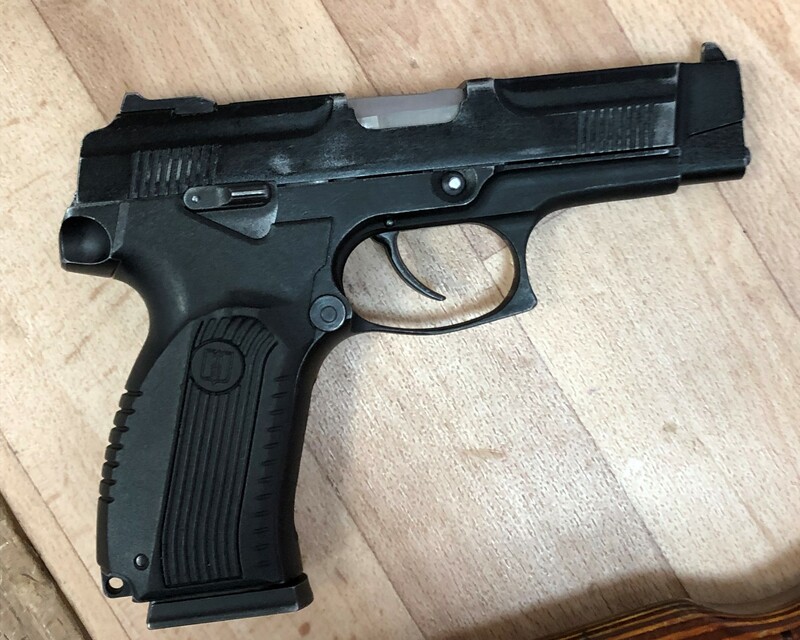 "The self-loading 9-mm handgun has been recommended for serial production under the index O1, which permits it for official use," the news release says. The commission examined the terms of reference, the results of preliminary and government certification tests and checked if the flaws detected in the process of testing have been eliminated. Next, a decision should follow on whether to authorize it for service or for experimental use in the field first. "The Udav meets all modern requirements established for firearms. Composite materials have made it possible to considerably diminish the handgun’s mass and improve its operating parameters," the press service quotes Rostec’s industrial director Sergey Abramov as saying. 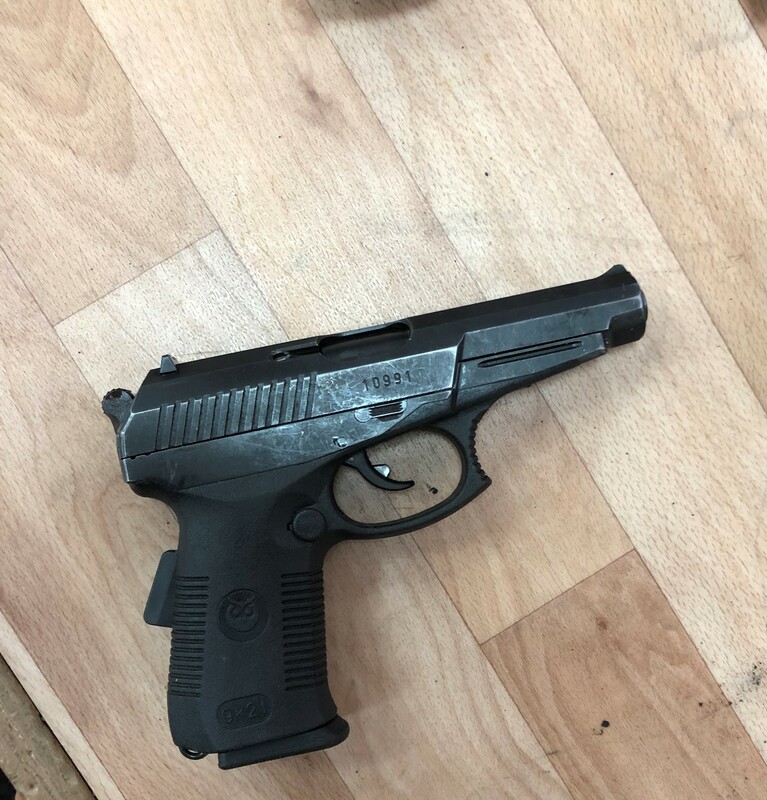 The firearm remains operational within a range of air temperatures from 50 degrees below zero to plus 70 degrees and is equally good for all arms and services. "Its features are competitive with those of such renowned brands as Colt, Walther, Heckler&Koch, Glock, Browning, CZ and others," Abramov added. According to earlier reports, the Udav fires a powerful 9x21 mm cartridge. It has passed government certification tests and been recommended for standard use. TsNIITochMash plans to deliver standard military, special and civilian configurations of the weapon. 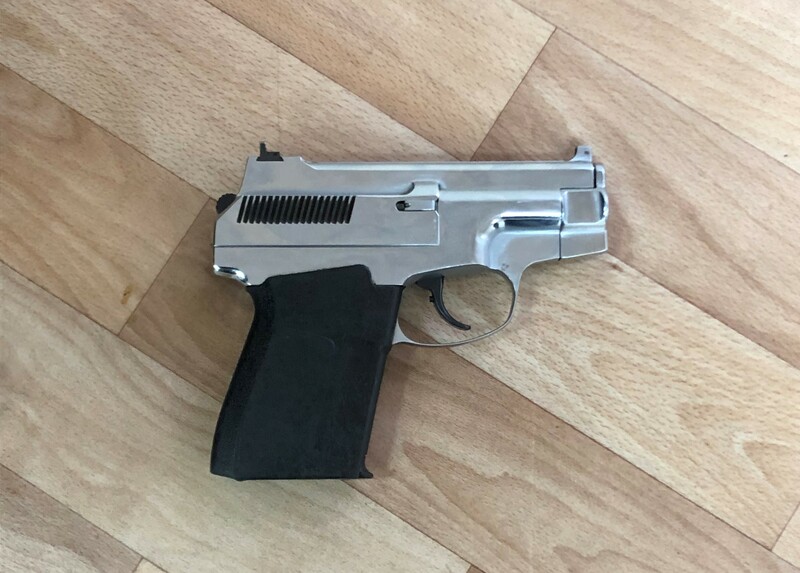 The self-loading Udav handgun is an entirely Russian-designed and manufactured weapon with a sighting range of 50 meters and an 18-round magazine. Brand-new special ammunition has been designed for it. In addition, the manufacturer plans to produce a standard army, special and civilian version of the weapon. Oh and one tiny detail about the name Udav: while some have been translating it as "Boa" (f*ck you Sputnik News) more correct translation would be "Constrictor"
I would also mention that Boa on its own is not right... feather boas are different from snakes called boa constrictors. The SR-1M was called Viper I believe, so replacements or alternatives have snake name themes too. There were an enormous number of pistols listed in the Russias Arms catalogue of 2002, most of which have largely failed to reach a wide number of customers. The SR-1 and SR-2 probably show a better path for replacement however for the sort of forces that normally had the Stechkin issued to them. Why would they, SMGs are inferior in every way to carbines. The correct route would be to create a replacement for the AKS74U and be done with it. The Makarov is one of the greatest pistols as like all of them it is a useless novelty item however it is by far easier to carry than its competitors, I say keep it! Well I disagree... a SMG is only as powerful as its ammo, and 9x21mm ammo has good armour penetration and lethality because of the bullet design. Carbines normally use assault rifle rounds, which makes them over powered and dangerous over much greater ranges than a pistol calibre weapon. You might not be able to hit much at more than 150m with an AKS-74U, but those bullets will be potentially lethal well beyond 500m if they hit anyone. In comparison pistol bullets are moving much slower and slow down rather rapidly too and would not be as dangerous to anything like the range an assault rifle round would. The Makarov is a small compact pistol that makes the same 9mm hole in you that more powerful western 9mms do. 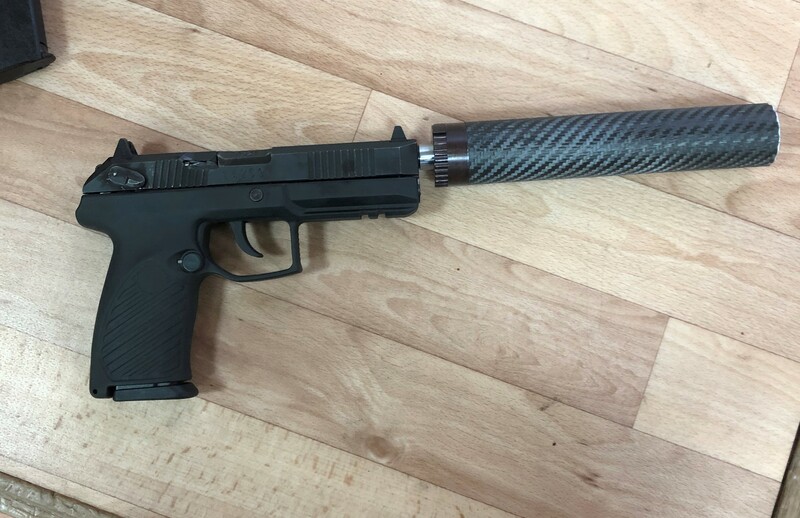 This new pistol looks like it should be able to do the job rather better however, so I think it is probably a good idea to upgrade to it, especially in 9x21mm round which is rather more effective. Testing the M16 for a bit longer using standard ammo propellent probably would have saved a few thousand American lives and also saved the reputation of the weapon for many people who had to use it.